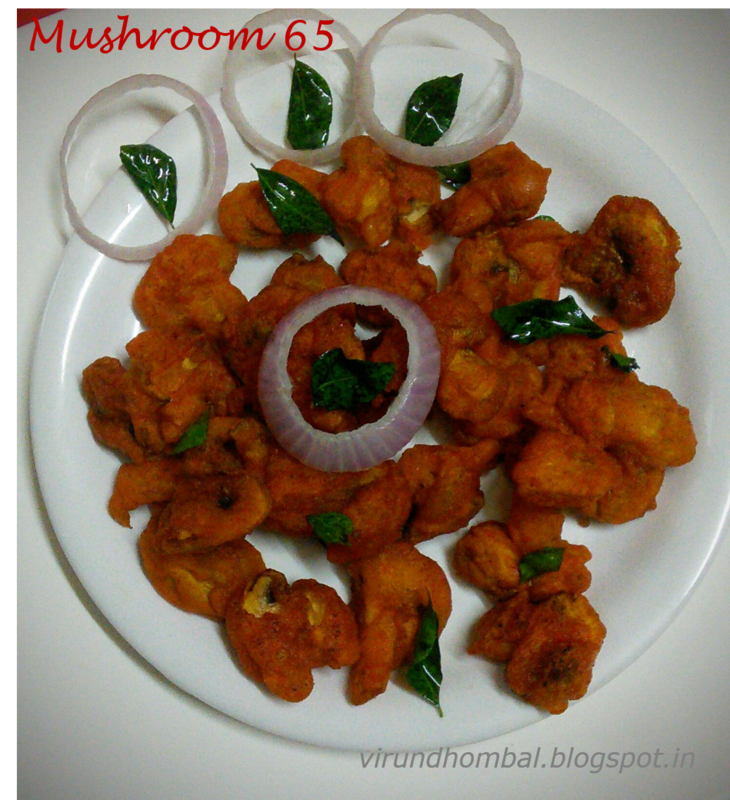 Mushroom 65 is the perfect appetizer to make anytime. This can be put together so quickly and anytime it would be a favourite dish for everyone. 1. Wash and wipe the mushrooms. Then cut each mushroom into 4 or 2 pieces.Take a mixing bowl and add maida, rice flour, corn flour, chilly powder, garamasala powder,turmeric powder, red colour and salt. 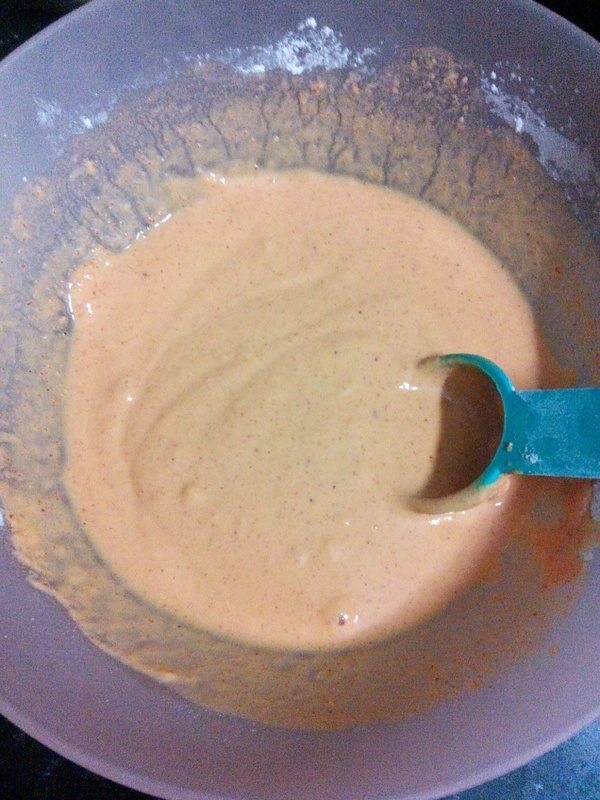 Mix them evenly with a dry spoon. 2. Now add water little by little and mix it well without any lumps. The batter should be thick to coat the mushrooms well. Then add the white vinegar or lemon juice and stir well. 3. 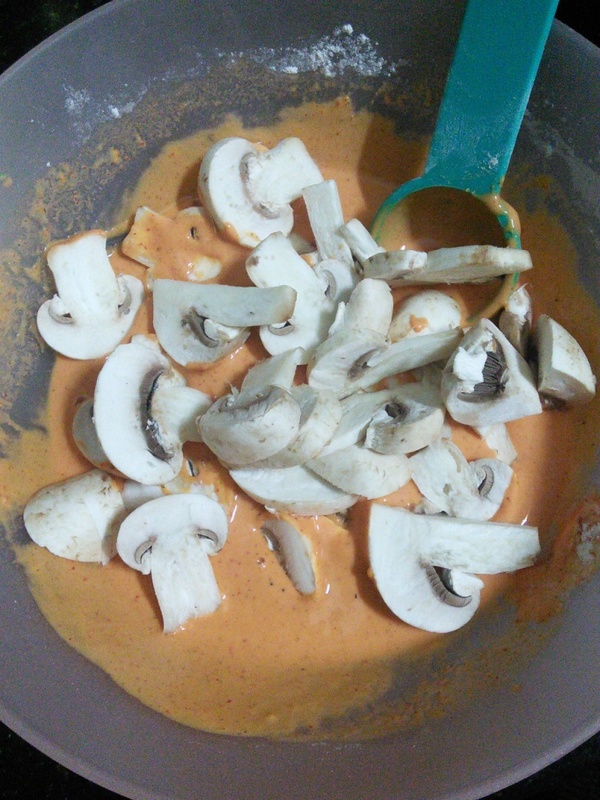 Add the mushrooms to the batter and mix it gently with the batter. 4. 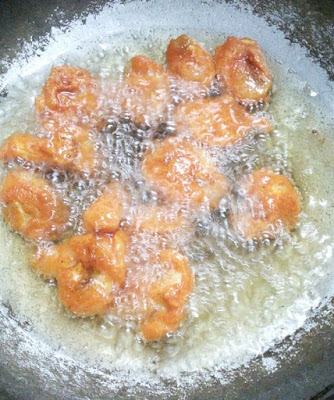 Heat oil for deep frying in a kadai on medium heat. 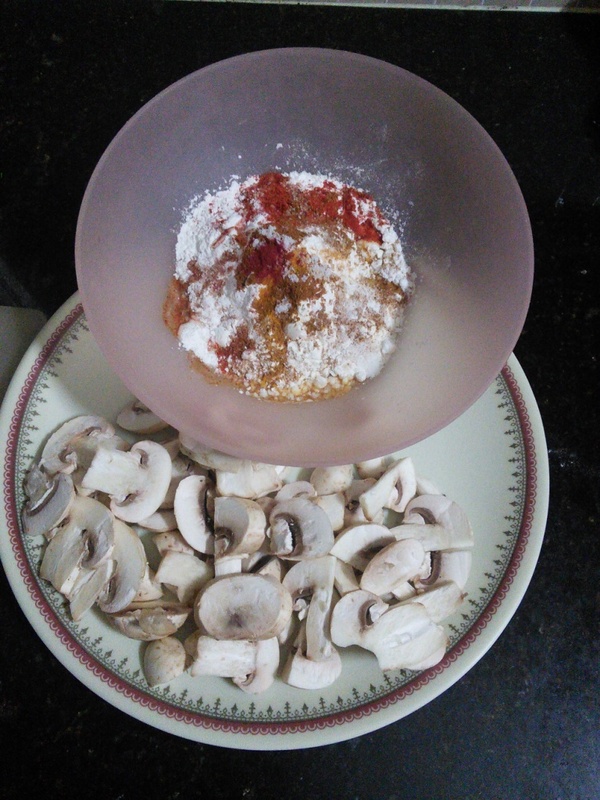 Add the mushrooms in batches and fry till until crisp.Serve it hot with tomato ketchup and a few sliced onions. Do not add more water to the batter then the mushrooms will absorb more oil.